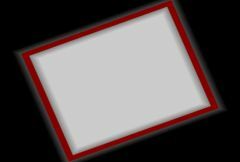 Performs a wipe transition between two input clips using a growing or shrinking rectangle. The Wipe Amt parameter should be animated to control the transition speed. Increase the Border Width parameter to draw a border at the wipe transition edges.